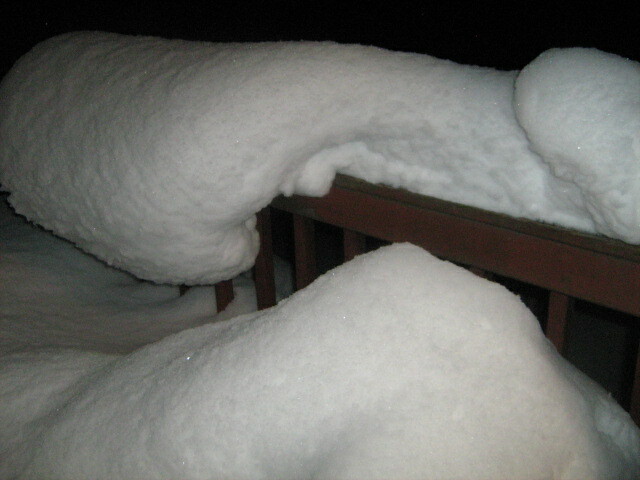 The snow monster's hand approaches. Magic ice wand for defeating the scary creature. In the morning, after the great battle, this was all that remained of the snow monster. Great pics with a cute story. 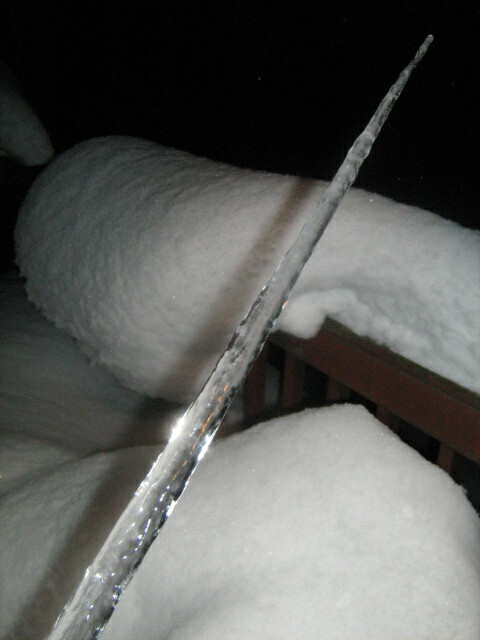 The ice wand looks a little scary too. wow! 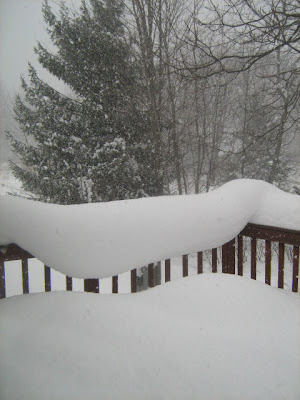 You got a lot of snow! I'm jealous of the snow and icicles! I was complaining about cold without neat winter perks on my blog. And there's an award for you there! Holy guacamole that looks cold. Beautiful, but cold. I wish it snowed here, but all we have is traffic and lots of it. Hi Holly: The magic ice wand was pretty big too. If you click the image you can see more of it. Hello mshatch: And more is on the way. Howdy Alexia: Thanks so much for the award and congrats on your award. Christian: Guacomole sounds very good right now. Nom nom nom. Hi Pk: It's cold here today. It stopped snowing for a bit, and then came back. I don't have to leave the house today. Woohoo. Hope you're having a good day as well. We haven't been hit by the snow here in Toulouse, but I have a feeling it's coming soon. Brrrr. Grrr. Hi Shannon: Do you like the winter? I rather do. But I like all the seasons. Today, I'm in my robe and don't have to go anywhere for the rest of the day. Hi Samantha, wanna borrow my magic snow wand? Really helpful in defeating the scary snow monster that attacked our back deck. Cool pics. I love them almost as much as the YUMMY Pizzelle pics you taunted us with in the last post. Need a griddle here. And a recipe. Ahem.